the fastest prime that the Fuji has right now is just f1.4 , while the OM-D has f0.95 primes, so there is no DOF issue with the Oly. That's great with the caveat that you have to be happy with MF, and fairly expensive primes as well. for example , if Fuji needs f2 , 1/30th at ISO800 to get decent DOF , Oly only needs f1.4, 1/60th at ISO400 to get identically good DOF, plus Oly has 5 stop-IS , so actually in real life handheld photography , the OM-D is better even in IQ. First, I'm not sure the math is right – Fuji wouldn't need both a slower shutter and higher ISO, just one of the two. Second, you're assuming that you have a f/1.4 lens for the Oly. There aren't many of those. Also, IBIS is not useful for every subject. IBIS is a great feature, but if the OP is shooting long exposures on a tripod then it's completely meaningless in this decision. and Oly has 2 great Panasonic constant f2.8 zooms , Fuji has nothing similar to the 35-100f2.8 or 12-35mm OIS. They are nice, but I think these lenses are way too expensive for what they offer. There are some prices I'm not willing to pay, personally. Fuji's kit lens is quite good and a lot cheaper, particularly in a kit with the X-E1. Also there's a telephoto zoom coming, plus some interesting Zeiss primes that will not be available for m4/3. By the end of this year, Fuji is slated to offer a fairly thorough lens selection. but honestly I think APS-C is now doomed , most of us who really care about image quality go FF or FX and when we shoot candid or street , I think there is no better camera than the RX1 or the OM-D.
One could just as easily say that APS-C offers the best value for the money and compromise between size and image quality. 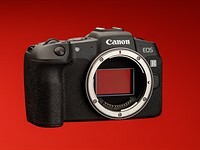 In my opinion, the biggest issue with APS-C in the past was that the DSLR manufacturers failed to fulfill the promise of smaller cameras with smaller lenses. Fuji, and Sony at a much slower pace, are showing that it's perfectly feasible to build appealing camera systems around APS-C.
All of that said, I do think the OP sounds like more of an OM-D candidate. 60 Fuji X - Cameras Ugly On Purpose ? 5 Contamination inside Fujifilm XF-18-55mm f2.8-f4 OIS - Not dust - was an insect!